Klinker says that this means that anyone can go look at his code – this being the whole point of open source to begin with – so you can go check it out, whether it be for inspiration or with a critical eye. While most of us end users won't see a front-facing change, savvy individuals can contribute their ideas to the app, which is to the benefit of all. You can check out the Klinker Apps Github page here. 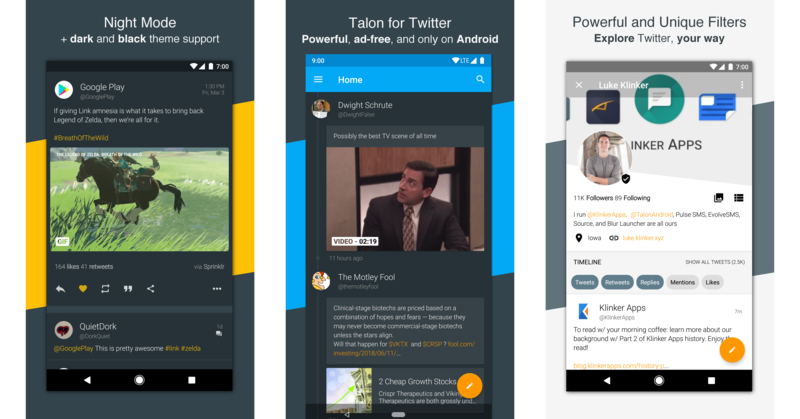 If you haven't looked at Talon yet, I think it's worth doing so. Each of us has our favorite, just like we do with our Reddit apps (Sync, ftw), but it's one of the best ones around.